UPDATED November 11, 2015: PetWORKs Global Store will take pre-orders for PW-momoko ae Risa Nakamura. From November 16 - December. 12, 2016. 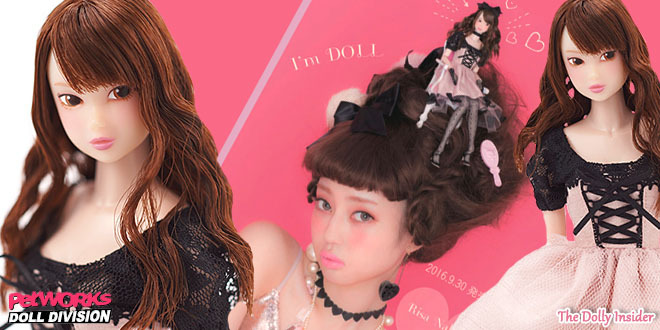 PetWORKs captured the glamor of fashion and the beauty of Risa Nakamura with their PW-momoko ae Risa Nakamura doll. Risa Nakamura is a model from Japan, her style is Larme fashion which is a style concept highlighting the sweetly cute girl. Larme takes bits and pieces from various fashion trends and transforms them into the sweet, cute and girly aka Larme Style! Risa Nakamura's signature Larme style is Pheromone Fetish. It consists of lace & sheer fabrics and light pink & black colors. 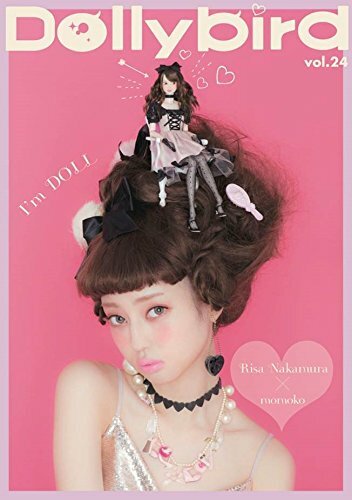 The Risa Nakamura momoko doll was 1st seen on the cover of Dollybird Vol.24. She's siting on top of Risa Nakamura's head. AND now collectors have the chance to bring home this cutie! PW-momoko ae [Risa Nakamura], a collaboration doll with popular model Risa Nakamura. Doll artist Miyuki Odani directs the costume design, and momoko's makeup will be based off of cameraman/custom writer Momiji's custom models. This release is beyond gorgeous. The pink and black hues remind me of a romance novel/movie set in the past. Usually too many bow details on a dress can be overwhelming but the amount of bows for this release is fitting since the lace fabric really balances out the look. When I saw this look it reminded me of the previously announced AE Momoko, Liz she too has a delicate lace trim. I imagine both girls would look remarkable together! The clothing designer for PW-momoko ae Risa Nakamura is Miyuki Odani. 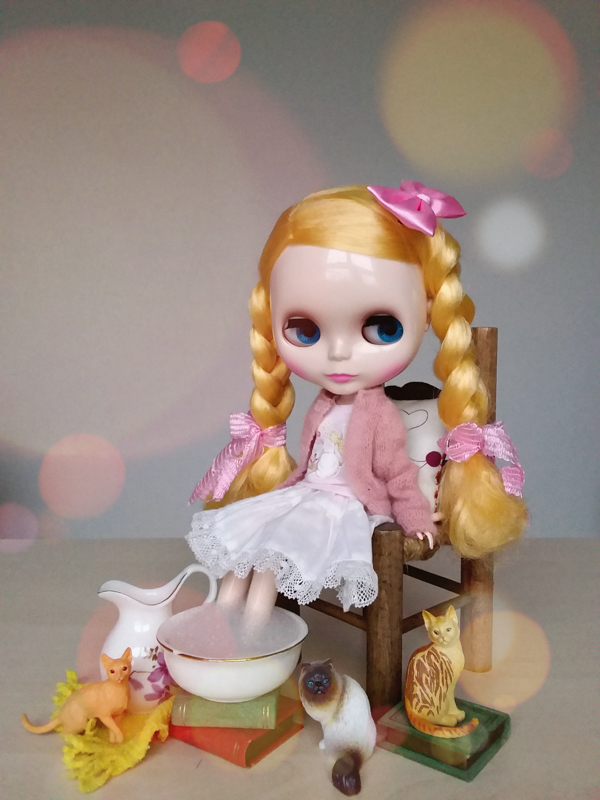 You may remember this designer, she made the outfit for Middie Blythe Melanie Ubique Girl. The makeup was done by the well known doll photographer Momiji. Hobby Japan will begin accepting Pre-orders on September 30, 2016 through December 12, 2016. Whoooa such a long release period. Typically the wait for a ae doll is 8 months, so the additional 4 months may have many collectors anxiously awaiting this release. No but seriously, what is going on with doll companies offering Hobby Japan exclusives? I have no issues with items being sold exclusively however at the same time it is a disservice to International collectors since Hobby Japan doesn't ship outside Japan. Yes, I know you could just use a proxy service . . . but I'm lazy and I have a difficult time justifying the price when you include all the fees/shipping. I know it's typical for Anime collectors to use proxy services to buy shop exclusive figures/products. But it's a bit uncharacteristic for the doll community to regularly use a proxy service. 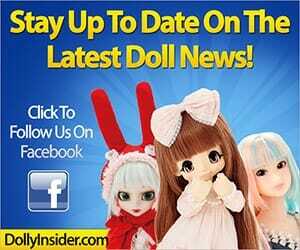 For doll collectors this latest trend of exclusive dolls is disheartening . . .
Literately a week ago Sekiguchi announced their Hobby Japan exclusive, a gorgeous redhead. Why are doll companies punishing international collectors when they know they have an International Fan Base? It would be nice if they would allocate a small amount of dolls for their global audience. We're just missing a Blythe Hobby Japan Exclusive . . . who knows the next announcement just might be one. Did you fall in love with PetWORKs' heartthrob Risa Nakamura or will you wait for the next model? What feelings do you have about exclusive dolls sold only in Japan? Does it make you desire the doll more or does it leave a bad taste in your mouth? So, in the end, they have given their fans outside Japan an opportunity to purchase. I’m very appreciative that they did because I had lost hope of purchasing this doll. (very sad about this also) While it is frustrating when they release exclusives like this, the majority of momoko dolls produced this year were available to international customers. I think they are genuinely trying to cater to their entire fanbase. This is great news to hear and see that PetWORKs is thinking about their international fan base. Wow, I’m also disappointed in this trend of exclusive dolls. I know the Japanese love rare things but this is getting a little out of hand. As if the PW Momokos weren’t exclusive enough already and Momokos really seem to be losing popularity. I don’t know what Sekiguchi or Petworks is thinking, however I really like this one and I’ll try my best to get her. If not I’ll check the second hand market next year. I hope you are able to bring her home, she is a gorgeous doll. That’s sad to hear that Momokos are becoming less popular. Unfortunately if Sekiguchi or Petworks continue on this path of neglecting their international fans, they’ll only have themselves to blame. 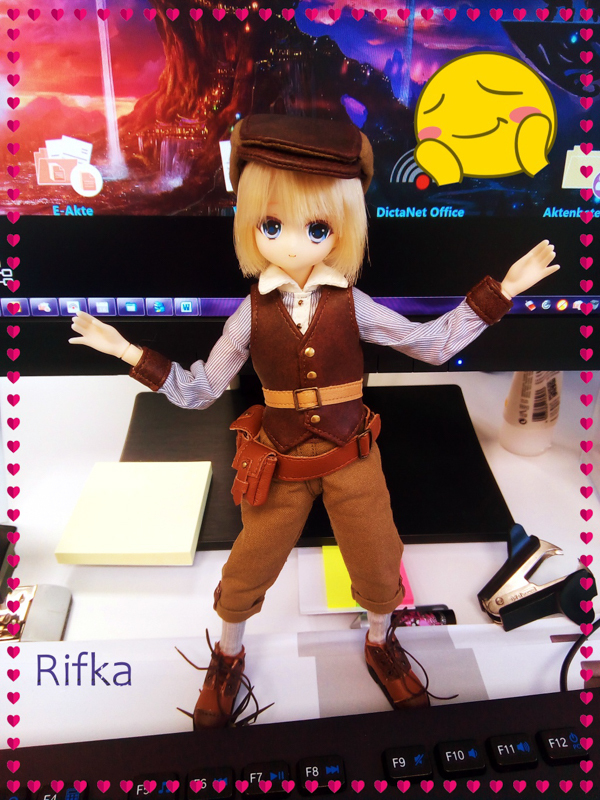 Thanks for adding your voice to the decision on Risa Nakamura Momoko & exclusive dolls! Totally agree with you there about Japan exclusives. I collected Momoko at the early stages and got my 02DD for example through a Yahoo Japan auction bidding service. However, at the time, she was so hard to get for buyers in the U.S., I felt it was totally worth it. Then R&D Dolls came along and made it a lot easier to obtain Momoko dolls which was pretty awesome thinking back on it. I personally do not like this exclusivity, it’s sort of insulting to the rest of the doll collector world. It does feel like an insult and it’s a shame that doll companies are doing things that are making their international customers feel unappreciated. It would be great if they had a store like R&D Dolls to sell at least a couple of their exclusive dolls. I hope this trend doesn’t last into 2017 . . . I appreciate you taking the time to share with us where you stand on exclusive dolls, you are not alone. This is a really nice doll, probably among the best I’ve seen but at that price, even if she was available internationally, I would most likely pass on her. She doesn’t appear to come with a lot of extras either which is a shame. I get why she has a higher price point though. These collaboration dolls seem to attract this. I share your feelings on dolls being made exclusive to Japan only. There’s been a lot this year, more so than I remember in previous years. The whole thing just leaves a bad taste in my mouth to be honest. I feel like doll companies don’t seem to value or care about their international fan base anymore. In fact, it kind of feels like they’re going out of their way to exclude their international fans and that’s up to them I suppose but it also means they will lose potential fans (customers) who would have otherwise bought their dolls because frankly, as much as I love the Momoko dolls, I’m beginning to desire them less because of all the exclusivity going on. If something is made impossible to purchase, I will look elsewhere because there is a lot of competition out there in the doll world and a lot of variety and a lot of those actually care about their international customers as well so as a buyer, I would definitely prefer to give my money to a company that doesn’t snub their nose at the international crowd. Everything you stated was well said Alasse Carnesir. That is exactly what it is and exactly what it feels like. I hope in 2017, brands will get back to welcoming their international fan base. Thanks for taking the time to share your thoughts on exclusive dolls, it was excellent.